Did you know that Hepatitis C could be up to 10 times more prevalent in urban communities compared to HIV? According to experts, more than three million people may be infected with the virus and most of them aren’t even aware of it. Hepatitis C is considered 10 times more infectious than HIV as the Hepatitis C virus can survive outside the body for up to 60 hours. 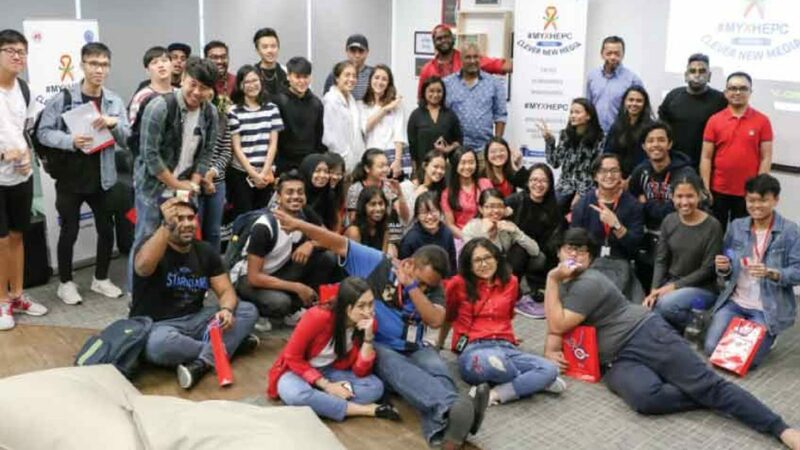 This has prompted Artsee Networks and the Malaysian AIDS Council to collaborate on a programme to raise awareness on Hepatitis C through social media and digital means. Programme Lead Vernon Adrian Emuang explained that through #MYXHEPC (the “Malaysians against Hepatitis C” hashtag), the programme will use new media to address this health crisis that is silently claiming millions of lives. Students at BAC and IACT College received first-hand news and information about this programme, which serves as a preamble to the campaign that will be launched on 15 December 2017. Two outspoken celebrities who were invited to help spread awareness on the programme. Sharaad Kuttan of BFM Radio and award-winning actress Sharifah Amani shared their views and ideas on how to save the world one idea at a time. Students were introduced to a tutorial pertaining to public health, digital content creation, and media or communication studies that revolve around Hepatitis C via the #MYXHEPC campaign. “I learnt more about Hepatitis C than I cared to today,” said Sharaad Kuttan jokingly. “And I also got to see the very smart, sassy and down-to-earth Sharifah Amani relate to students of BAC and IACT College before she went for the premier of her new movie,” he quipped. #MYXHEPC was created on World Hepatitis Day, a day designated by the World Health Organisation (WHO) to highlight the efforts of global activism in addressing the growing threat of viral hepatitis. If you would like more information about #MYXHEPC, please visit their Facebook page at https://www.facebook.com/MYxHEPC/ and be sure to like them!